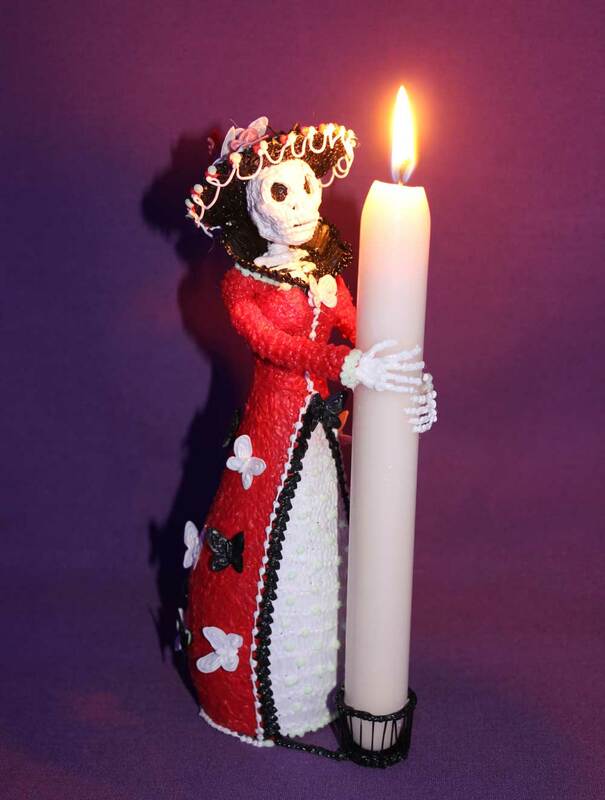 Day of the Dead, also known as Día de Muertos, is a Mexican holiday from Nov 1st and 2nd, to pray for and commemorate friends and family members who have passed away. It is believed that the spirits of the deceased children will reunite with their family on Nov 1, and Nov 2nd is when the spirits of adults are allowed to visit. 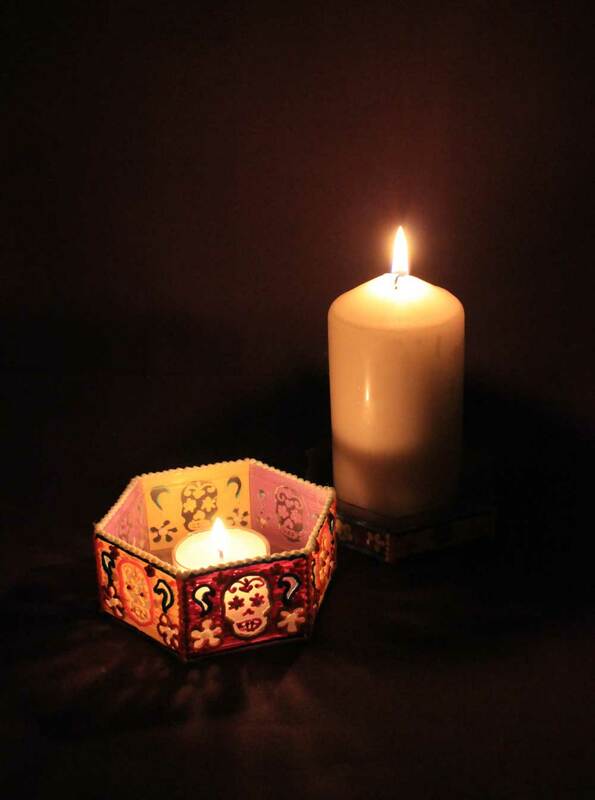 To welcome and honor the departed, altars are set up inside homes, displaying a Sugar Skull, flowers, candles, food, and once owned possessions. Inspired by photos of these beautiful and meaningful altars, our talented Artist, Cornelia Kuglemeier created an (almost) entirely Doodled version of it, made up of some of the most symbolic décor pieces for the festival. 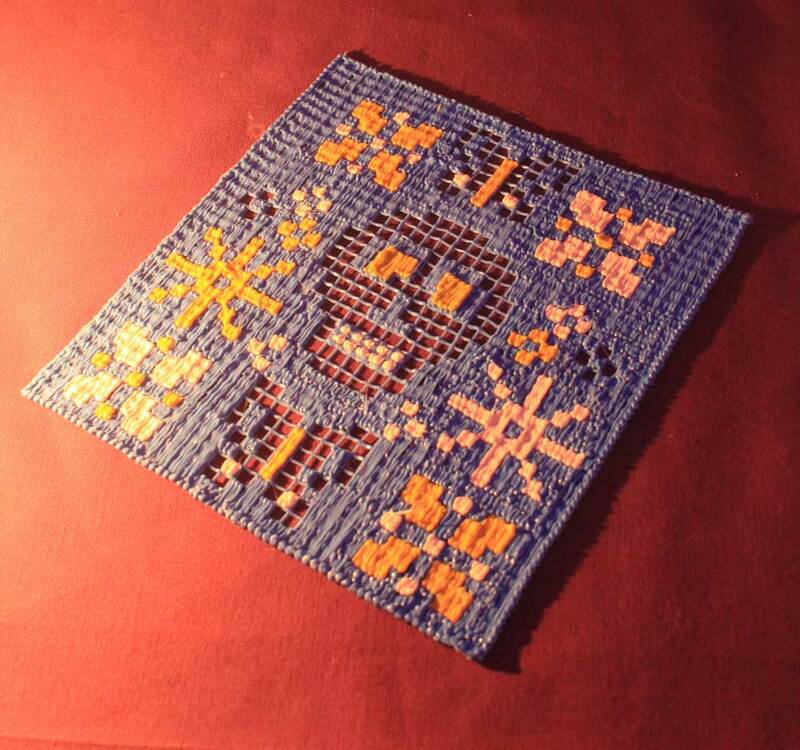 For example, the Papel Picado is a form of Mexican paper cutting art, which is often seen during important festivals like Day of the Dead and Christmas. To make things even more interesting, you can try make a doodled version of it! 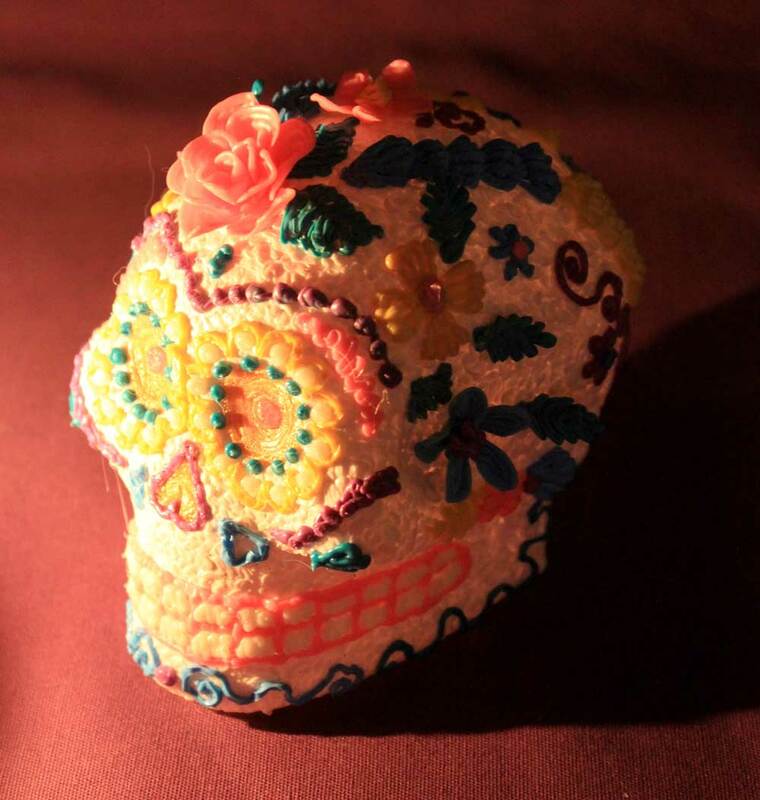 The Sugar Skull (Calavera) is another important symbol used in this Mexican celebration. Traditionally, sugar was used to form the mold because it was readily available and cheap. The Skulls are placed in the altar to recognize the person who has passed. The name of the deceased is written on the Skull’s forehead, then the rest of the surface is decorated with icing, ribbons, and other colourful adornments. 1. Print or acquire a piece of grid patterned paper, or draw your own on lined paper. 3. Cover the paper with a layer of Masking Tape. 4. Use FLEXY plastic to Doodle on top of the tape, following your patterns and the grid pattern. 5. Peel the design off, and you’re done! 1. First, doodle over the Skull Canvas in Polar White ABS plastic. 2. 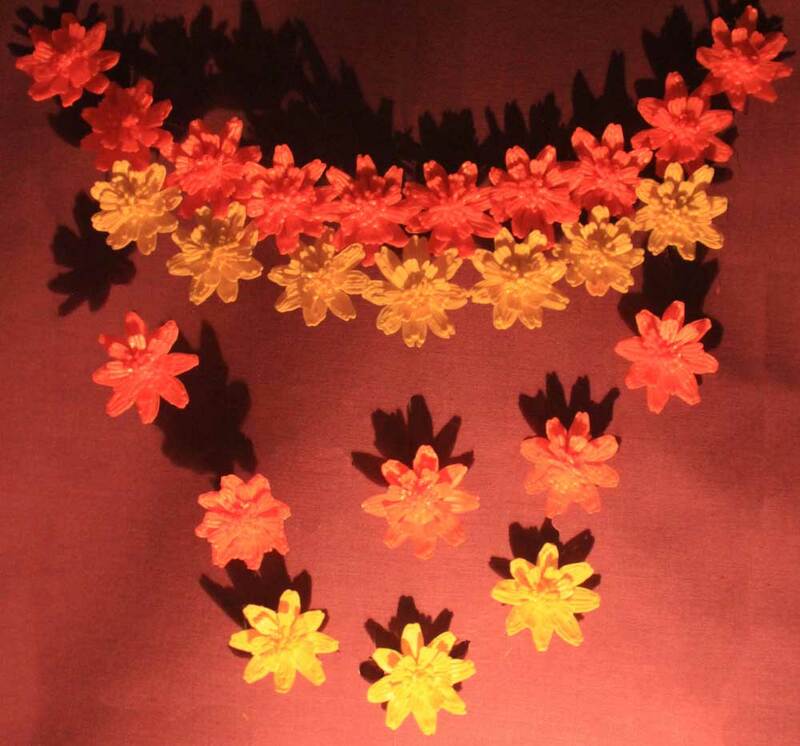 Add some decorative flowers and “sugar” using a variety of colored ABS plastic. The more colors the better! 3. 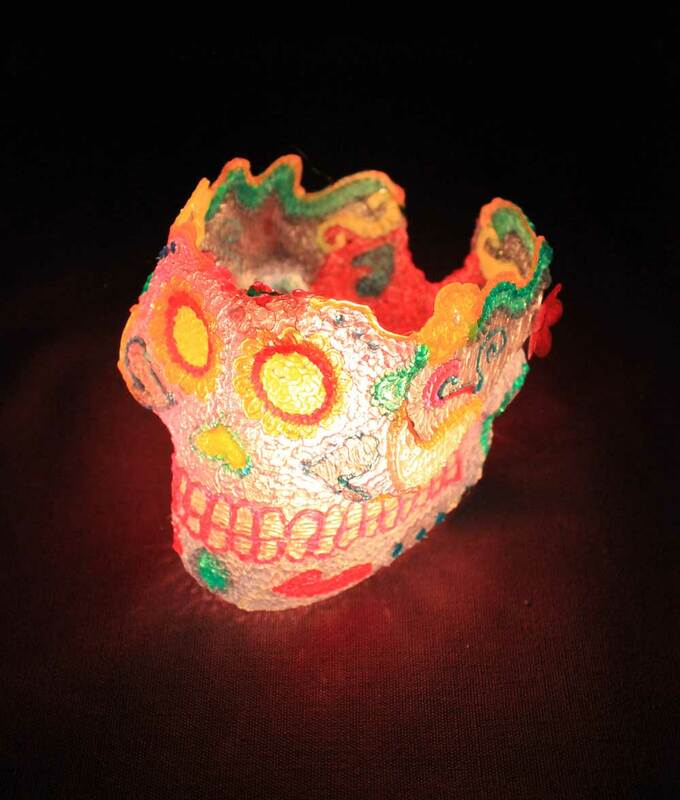 Use Glow in the Dark plastic on parts you want to make look extra spooky in the dark. 4. To make the doodles look like sugar writing, experiment with different Nozzles to achieve a variety of interesting effects. 1. Cover the entire Skull Canvas with Masking tape. Doodle over it with Clearly Clear PLA plastic, leaving a gap in the centre, so you can peel off the doodled skull in two halves later. 2. Doodle the entire Canvas leaving the top of the skull open, this is where you will put in the candle. 3. Remove the two parts of doodles from the Canvas, then join them together by doodling along the gap to join. 1. Draw petal shapes on a piece of paper to use as a stencil, then doodle over them with ABS plastic. 2. Peel the petals off from the paper. 3. To give them a curvy shape, use a hot air gun or a hair dryer to gently heat the plastic, then shape it with your fingers. 4. Doodle to join the petals together to form a flower. 1. Draw some patterns on a piece of paper to use as a stencil. 2. Roll up the paper and put it inside a Vase Canvas, then tape down the paper to hold it in place. 3. 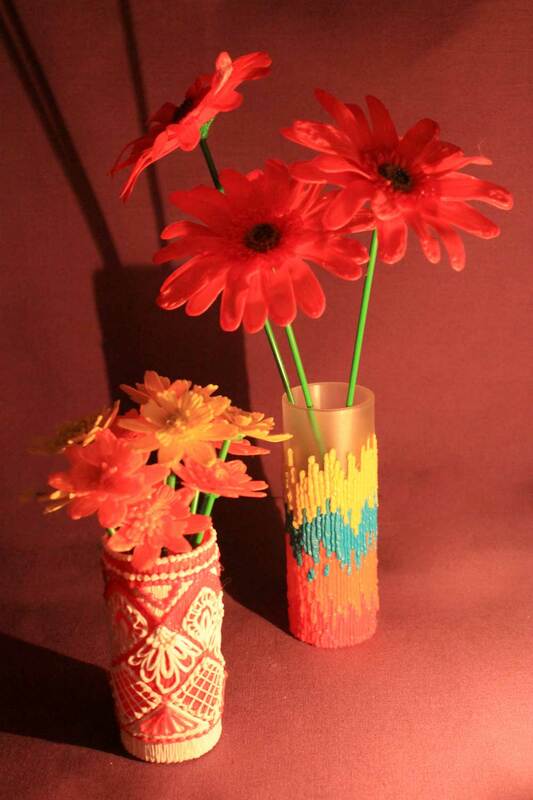 Doodle directly on top of the Canvas to make beautiful customised Vases! 1. To make the body, use a bottle as the base to build the shape of the dress. 2. Doodle two arms and attach them onto the body, positioning them so that it leaves a gap in the middle for the candle. 3. For the head, scrunch up some paper to make an oval shaped ball, then doodle on top of it to make the head. 4. Finally, add a hat on the head, then join all the pieces together. 1. Use a Box Set Canvas as the base. 2.Measure one side of the Canvas Box, cut out a piece of paper, then draw some patterns (e.g. skulls and flowers) on it to use as a stencil. 3. Place the stencil inside the Box and tape it to one side. 4. Doodle directly on top of the Box, following the stencil outline to create a unique and interesting design. 5. Repeat on the other sides. To create a balanced and Instagram-worthy display, place the shorter pieces like the Sugar Skull and Papel Picado in the centre. Then surround these with the taller pieces like the flower vases and the La Calavera Catrina. For some final touches, complete the altar with some food, a bowl of salt, and some scattered flowers. And there you have it, your own Doodled Day of the Dead altar.